There is a national problem accessing computers. Unfortunately our computer system and our telephone system are both not currently working. We apologise for this and are working with system providers to resolve this. Marazion Surgery will be closed on Friday 19th and Monday 22nd April for the Easter Bank Holiday weekend. Dr Walden came to Cornwall in 1982 as a medical student and worked at various jobs, including a year at West Cornwall Hospital. He joined Marazion Surgery as a GP Partner on 1st May 1990. He retires as a GP Partner on 1st April 2019. At that time the surgery was located in a bungalow opposite the beach in Marazion. 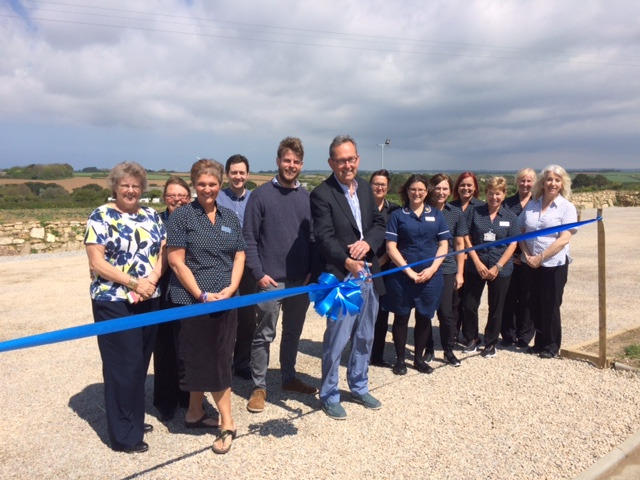 With the move to the new Practice premises at the top of Marazion shortly after, the Practice has continued to evolve and expand, most recently extending with new car park and additional treatment rooms, offering medical services to patients. For the next year Dr Walden will be doing occasional sessions at Marazion Surgery and will continue in his role of Locality GP for Kernow Clinical Commissioning Group, working on the area review with KCCG and other stakeholders. As part of Dr Walden’s retirement plans he intends to do a sponsored walk in the summer of 2020, walking the South West coastal footpaths. Watch the surgery website for more information nearer the time! Dr Walden was pleased to announce that Dr David Tinkler would be joining Marazion Surgery in April 2019 as a new GP Partner, joining the Partners Dr Killeen, Dr Sugrue, Dr Murphy, Dr Robbins and Dr Lock. Dr Walden would like to say a huge thank you to everyone for all the cards, presents and best wishes that he has received from so many patients. He is very touched and wishes everyone the very best for the future. · Because the surgery is fantastic, Dr Walden was an Amazing Doctor. Nurses are Brilliant, Receptionists are very good. Dispensary are very good also, I have had no trouble with any of the Services. · Excellent staff, very friendly and professional. Nothing is too much trouble. · Good medical and nursing team, friendly, efficient staff. · Hi, I this particular score, as on my last appointment the surgery showed accommodation to my personal condition by allowing me to wait at the back, away from the waiting room. I am coming out of a period of reclusivity and very poor health and this helped me to progress. Also, the surgery, to my experience, embraces Patient Centred Care strategies. Always looking to improve too! Thank you. · Katy (phlebotomist) welcoming and cheerful and very good at her job! · The doctors always take the time with you that is needed and listen, no rushing you off. · The Dr was lovely, she did it in 2 minutes, and it was done with dignity. It was painless. · Very friendly, efficient and professional member of staff who clearly explained the procedure to me. · Very happy to be treated helpfully, promptly & efficiently by someone who obviously knows the condition well. · Very impressed with the surgery and staff in every way. They go the extra mile in my opinion! · Very supportive staff. Friendly. · When it's justified, I feel that being able to see a Dr quickly is crucial in a speedy recovery. The Surgery has this option. The response from the GP who saw me, was courteous and professional. She did everything I felt that she could, to reassure me and she explained that she didn't want to leave any stone unturned. The treatment that she prescribed was successful. What more could one ask for. Thank you very much for taking the time to complete these slips. We appreciate your support. 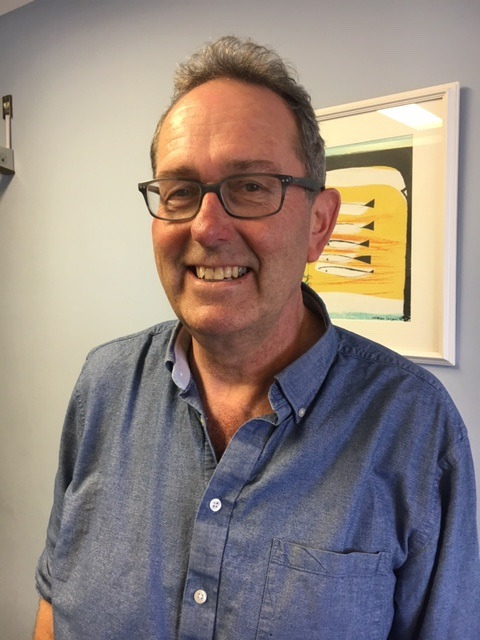 Dr Neil Walden wishes to inform you that he will be retiring as GP Partner on 1st April 2019. He has been a GP Partner at Marazion Surgery for 29 years, having joined on 1st May 1990. I am sure you will agree with us when we say that he will be missed a great deal, and that we wish him and his family well for the future. We are delighted to inform you that Dr David Tinkler will be joining Marazion Surgery in April as our new GP Partner. He will take over the care of patients registered with Dr Walden. · Although very busy today, communication on delay was given, courteous treatment. Doc has time to listen and diagnose. Medication was in stock at pharmacy. Polite service. Good parking. · Always found Marazion surgery to be able to give me an appointment when I needed it. · Always so kind, helpful, efficient and reassuring. Thank you. · Because it's a well-run and friendly practice, pleasant waiting room too. · Because treatment and consultations are exceptionally good and never rushed. 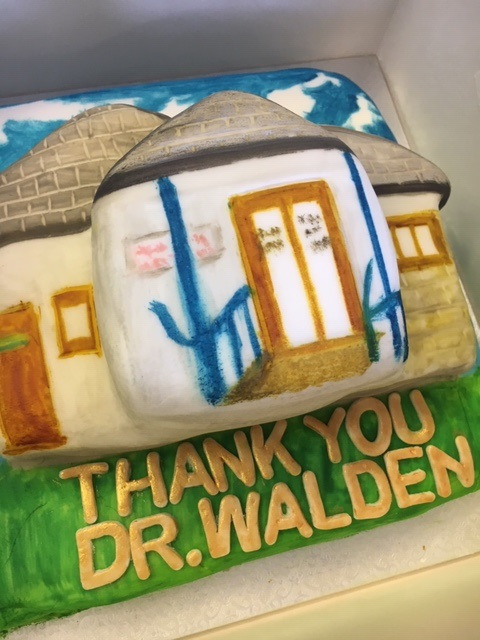 · Dr Walden has been Fantastic as Always, it's a shame he is leaving. Most of the Staff are good. There will never be another Dr Walden or anybody as good. · Excellent care and consideration. FIRST CLASS SURGERY. · Excellent medical team, support staff and facilities. Couldn't fault any of them. · Great Doctors. Friendly helpful staff. · I cannot use the appointment check in screen. I have asked why but they say that they cannot fix it. · Marazion surgery is excellent. It is well run, they are diligent, doctors and nurses are all exceptional. · Professional, efficient and friendly. · The staff and service is brilliant. · We received kind and sympathetic treatment by all staff at Marazion Surgery today. Thank you very much for taking the time to complete these slips. Guidance released in January 2019 may be of interest to our patients. · All staff friendly and professional. No problems whatsoever. · Always find the doctors and nurses have time to listen to me! · Because Dr Walden is fantastic and simply the best doctor around in my opinion. Nurses are fantastic as well. · Dr Gambles is the best GP I have ever found. She is knowledgeable and approachable. She has helped me through both a heart operation and emotional stress. · Friendly and efficient staff. · Have wasted 35mins hanging on the phone to get a test result and no answer; I have redialled reception still no answer. Can't afford to keep doing this and it's an important cancer test. I give up. (We apologise that you had difficulty contacting us on the results option of our telephone system that day. The engineer resolved this fault as quickly as possible. I would like to assure you that the appointments and main enquiries options were not affected). · I chose 1 in reply as all our family have been patients over 20 years and have found the service they provide at Marazion Surgery is excellent. Highly recommended. · My appointment today was to see a GP. He took the time to both listen and explain everything to me and put my mind at ease. The challenge: How do we get individuals and those at risk of falling more active and stronger? This isn’t new news. This is a long standing (pardon the pun) issue and one that is potentially only going to get worse as the population is getting older and less money is available. Move More is a Cornwall Council Public Health funded program and delivered by iCareiMove Limited with partners including AGE UK Cornwall and Cornwall Foundation Partnership Trust. The courses will be run with two Postural Stability Instructors (PSI’S) and a team of volunteers that will help support the program and those in attendance. Who does this target? The courses are targeted towards those who fall or at risk of falling and those who may be unsteady on their feet or lack confidence. These individuals may use a walking stick or walking aid. They may need access to transport or help with costs. You might have a family member, neighbour or loved one that fits the bill. Contact the Age UK Cornwall Helpline to start the conversation and we can support you and provide advice on what to do next. · All the staff at Marazion surgery are polite and helpful. Nothing is too much trouble for them. · As usual the driver rang the bell but drove away before we got to the door. · Because I have been nearly always satisfied with the treatment given and I can usually get a quick appointment when required. · Good surgery, Doctors, Nurses, reception and dispensary staff who always seem keen to help. · I am a newly registered patient and I am extremely impressed by the surgery and the professionalism of all the staff. Everyone is very friendly and listen to what your needs are. Thank you. · I think we are so lucky to have such a forward thinking surgery in our area. Doctors, nurses and other staff always helpful. · Nurse Chloe was so professional yet very friendly. Really felt she listened to me and didn't rush me. What a fab nurse! · Very helpful/knowledgeable doctors and staff. With the pharmacy on site too. Fantastic all round. We are closed on the Bank Holidays of Christmas Day on Tuesday 25th, Boxing Day on Wednesday 26th December and New Year's Day on Tuesday 1st January 2019. All other days are open as usual. We wish you all a very Merry Christmas and Happy Healthy New Year. Flu Vaccinations - book your appointment now! Please have your FLU jab at Marazion Surgery a usual. We have purchased enough vaccine for ALL our eligible patients, so please have your vaccine administered here so that these are not wasted. Clinics are available during the week and at weekends; these are available to book now. There are also some drop-in clinics, if you have an appointment for something else it may be possible to have your flu vaccine at the same time. · A positive and helpful consultation with the doctor of my choice. · Always a great service and a pleasure to meet your locum Dr Blight, very helpful and understanding. · Always able to get an appointment. Reception always friendly and helpful. · Always friendly, efficient and prompt service. We are lucky to have such a good service. · Always had good, prompt, caring help when needed. Dr Gambles is a star! · Because I have always had good treatment. · Doctor was interested in my painful shoulder and offered me help. Referring me urgently to physiotherapist. Don't know when I can see a physiotherapist? · Dr Walden is the best doctor, the nurses are good, receptionists are very nice and pleasant. · Easy to arrange, arrived early and seen early and procedure quick and painless. · Great doctors and nurses, pleasant staff, very helpful, what more would you need from your surgery. Many thanks. · Helpful staff, great doctors, pharmacy on site. · I have just had major bowel surgery and cannot travel to surgery so this new service is exemplary especially when I'm in need of antibiotics. · Marazion Surgery is always excellent. Online appointment booking and prescription ordering, helpful and friendly staff and brilliant doctors and nurse practitioners. We really feel they care about us. · Service and staff are punctual and polite. · Staff highly qualified, professional and human. They always listen and empathise in a very positive and personable way. Brilliant. Plus always trying new and better treatment. · The nurse was super friendly. I almost felt I'd known her for years, which is a definite help for anyone who is nervous. · The service is excellent at Marazion surgery. · The staff are always more than happy to help in any way they can and are great at making you feel calm and reassured during your entire visit for whatever reason. 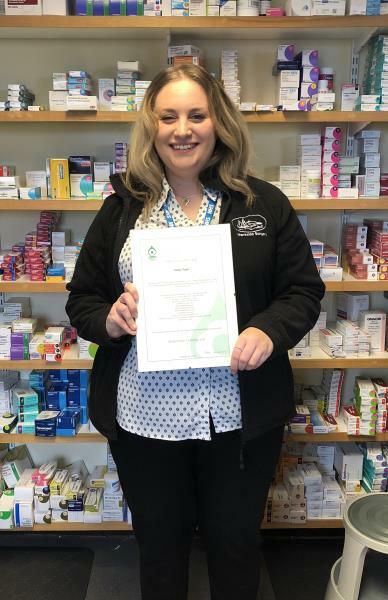 Congratulations to Emily on all your hard work and passing the NVQ Level 2 Dispensing Assistant Qualification. · Entered 1 because have always been extremely happy with my Doctor, Doctor Walden & all of the nurses & staff in the surgery. Courteous, respectful, & cheerful. · Friendly, courteous and efficient. · Friendly, efficient and I feel confident in my treatment. · I find the service provided by Marazion Surgery exceptional. Appointments always on time, Doctors very helpful indeed and very supportive of my needs. · I have been registered with the surgery for almost 18 years and have had extremely good care. · I just think you're a very good kind and caring surgery. · In over 28yrs we have never had cause for complaint. Any problems we may have are investigated fully by doctors in a professional manner. All staff are professional and polite. Would never consider changing our GP. · Marazion Surgery is great on every level. Is it inspired from the top? They feel like friends so that means I open up more to them when in difficulty. They go the extra mile. · Mrs Hatton saw me on time and as always treated me in her professional and caring manner. She is an asset indeed to the Marazion practice. · My problem was discussed and a way forward reached in a clear, kind, non-patronising manner. · Patients are treated with respect by all, nothing too much bother, great surgery. · The appointment was on time. The nurse was pleasant, careful and very competent. · The nurse not only managed to squeeze me in this morning after my appointment was cancelled, she was also very warm and friendly. · The surgery is clean and bright. The staff are always very helpful and polite. The doctors are the best of all. Each one of them gives us time as patients, empathy and are sensitive to my concerns. I feel safe there and respected which I feel aids the recovery process. You leave that surgery feeling positive and motivated. I feel so lucky that this place is my local surgery! · Very friendly staff, very efficient, and the nurse made you feel very comfortable while having procedure done. · Very happy with the levels of care, approachability if staff, clinical standards etc. The only disappointment is the painful telephone system. To book an appointment for a flu jab entailed a call timed at 47 minutes waiting in a queue that commenced with 5 and took all that time to come to the top. It then took just over a minute to complete the negotiations! This is clearly not right and a new system. However needs sorting. Hope this is helpful as intended. Practice Response: We are very sorry to hear this, we did have some 'teething problems' when the new system was installed and these have now been resolved. If you have a problem like this again please let us know so that we can fix things straight away. · Very welcoming and considerate. · All of the doctors, nurses, reception and pharmacy provided first class treatment and service. The best I have known. · All the staff are amazing. · Always friendly, professional, helpful and very prompt service. Thank you. · Because I think the Practice is extremely good and always treats patients really well. Couldn't ask for better. · Dr Robbins was very thorough and reassuring. He had time to listen to me and examined me with care. Always excellent whenever I visit him. · Ease of making appointments. Good follow up care. · Easy booking in on day of appointment. Very polite and helpful receptionist. Dr was exactly on time for appointment. Did not fell rushed. All in all a very good experience at Marazion Surgery. · Efficient and courteous receptionists and nurses at all stages. Can usually get a doc appointment same day too. Ease of parking and all staff worthy of praise. · Efficient and pleasant staff. · Every contact I have ever had/made has been positive. From the dispensary through reception, clinic nurses and doctors they have been professional, polite, helpful and friendly. All in all an excellent service. · Everything with my visit was all GOOD in every account, well done. · Excellent all round service from doctors, nurses, health specialists, dispensary and admin staff. · Excellent Surgery. Knowledgeable courteous with genuine care for each patient and families. Number 1 for me. · Extremely likely to recommend Marazion surgery as have always had good care from helpful staff in all areas. Yesterday saw Dr Robbins, very happy with outcome of consultation. Also seen before appt time. · I can always get an appointment. The staff are very helpful. The dispensing staff are always pleasant. · I gave this score, because I have every confidence in your surgery. · I had a very good diabetes review with Clare and even had my flu jab to save another trip. Thank you. · I have attended Marazion Surgery for the last 55 years and have always been treated with courtesy and kindness by all of the members of staff. · I have chosen one as this is the best surgery I have ever been registered with. All of the staff are really pleasant and nothing seems to be any trouble. I have never not been able to get an appointment when it suits. I have an on-going health problem that Marazion surgery have managed to sort it without any fuss. Well done the whole team not the easiest of jobs. · Lovely helpful staff is why I'd recommend. Yesterday I had a great thorough app with Dr Gambles, very kind to me. And I'd lost my BP pills and pharmacy replaced them the same day with a smile. 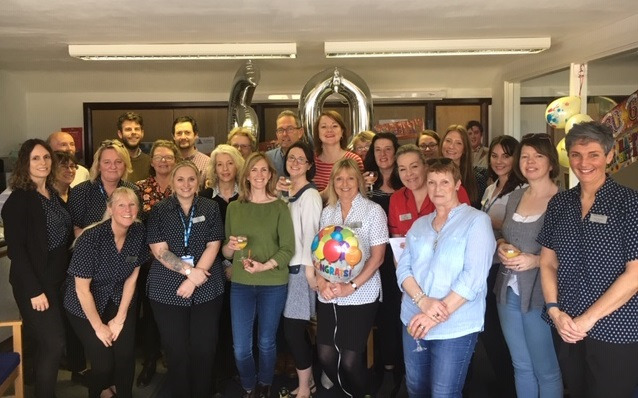 · Many years of very good service from all staff, nurses and GPs at Marazion surgery, for all family members, including very elderly ones over 90. Home visits to them have been promt, with kind and considerate bedside manner - very much appreciated at some worrying times. Easy to book surgery appointments too. 10 out of 10! Thank you. · Marazion is a busy surgery yet the staff are always courteous and helpful. The doctors are hard-working yet they all treat their patients as people, not numbers. The surgery is well-respected by hospital staff including Consultants. I try not to be a regular customer - but I trust the staff at Marazion, they get my vote as the best in the area. · Nurses and all staff friendly and reassuring. · Sorry for mix up. I entered 5 in error first time. It should have been an 'excellent'. I can't fault Marazion surgery. The staff are wonderful and the facilities superb. · Staff were professional, helpful, friendly and efficient. · Surgery is fabulous. All staff medical and admin. very professional. Proactive demonstrated in the amount of screening, testing, referrals and health checks offered. Most importantly and impressive is how all work as a team. · The Marazion Surgery staff are professional, caring and supportive. Dr Walden is a shining example of what is a truly wonderful GP. ..he is calm unhurried.. he listens and gives sound advice and takes the time to explain without ever being patronising. · The surgery has been responsible for my continued good health for 40 years for which I am extremely grateful. · They Are The Best Surgery around in My Opinion, Nothing is too much Trouble. Doctor Walden, My Diabetic Nurse, the Staff at Dispensary and the Staff At Front of The Surgery Are All Amazing. Dr Walden is the Best Ever. · Unable to fault Doctors or staff in any way. We are aware that patients are receiving letters from Pharmacy2U and although it states in small print 'your surgery has not given us any of your details for this letter and has not approved this communication', we wish to emphasise that this letter is NOT FROM US and we are not advertising or encouraging patients to use their service. Our Dispensary at Marazion Surgery offers a full prescribing and dispensing service to our patients, including delivery of medications. If you have any questions about this, or if you have any questions not answered on our website or in our Practice leaflet, please speak to one of our Dispensary staff. The new telephone system is now live! Please contact us on 01736 710505 for all enquiries, including appointments, visits, test results and dispensary. (711447 and 719906 are no longer in use). We hope there will be a smooth transition, but please bear with us! Thank you. · All the staff I have had dealings with were very helpful, efficient and professional in their approach. I would highly recommend. · Dr Jonathan Lock is an awesome doctor at Marazion Surgery. · Friendly and efficient service. · GP took immediate action. Good communication etc. · Great staff. Great waiting times. · I feel Marazion Surgery has improved hugely over the last 12 months or so, I find the reception staff much more helpful and friendly and the medical staff have a brilliant bedside manner. Dr Walden has been fantastic with my 5 year old daughter and every doctor I've seen has gone above and beyond to help and advise. · I gave this rating because I made the appointment easily on line, did not have to wait overly long to see the doctor and was dealt with in an extremely courteous and understanding manner. · I have been with Marazion for 60 odd years and found surgery always good to patients. · I recommend Marazion Surgery because of the excellent service I have received to date and because both Doctors and staff are caring people. · I was seen on time by Mrs Hatton who treated me as always with great professionalism and efficiency.... she always makes me feel that as a patient I am important. · Receptionists are friendly and helpful. Dispensary the same. Dr Walden is wonderful treating my wife, patient, calm and reassuring. Sister Nightingale, (erroneously named Mrs. Peacock) is the NHS at its very best and cannot be commended highly enough. · The staff at the surgery are kind, caring and professional. · The surgery have always accommodated me with an appointment. The desk staff have been polite, pleasant and helpful. The medical staff have been polite, accurate and efficient in all my dealings with them. · They are all wonderful! · Whenever I have had occasion to ring or come into the surgery I’ve always found kindness and helpfulness. Meur ras onan hag oll. Thank you one and all. · Kind good staff, receptionists and doctors. No complaints. · You have provided me and all I know with an excellent service. However what worries me is that friends using other surgeries often complain about their service. I don’t like ‘gatekeepers’ to the NHS being in competition. · I was seen promptly with a minimum of bureaucracy. Thank you. · Helpful, smiling receptionist. I can ask for a ‘named doctor’ appointment – I like to see my family friendly doctor. · We have been with Marazion Surgery, myself since 1948 and my wife since 1935 and have always found the doctors, nurses and staff to be very efficient. Importantly, they take time to listen to you which gives you the confidence that you are receiving the best treatment or advice available. The system of regular calls for check-ups feel you are being well looked after. Also there is never a problem with making an appointment to see any one. There will always be someone who will see you. · Not all my experiences with the NHS and prior to its formation have been positive. I have had some very unhappy experiences. Moving to this area from London I wondered what the medical practice I would end up attending would be like. I had been very happy with my previous doctor. Now when I drive into your car park I feel safe and cared for. A special place to which I belong. Whichever doctor, nurse, reception or dispensary staff I consult, I feel respected, listened to and cared for – and promptly dealt with. Whatever my anxieties I feel safe in your care. Thank you. Thank you. I always sing your praises to others. I’m sure I always will. · All the staff and GP's are very good. By personal choice I prefer to see Dr Walden who I consider to be an excellent Doctor. · Best surgery in Cornwall in every respect. · Great customer service, and lovely helpful doctors and nurses. · I have always had wonderful treatment from both nurses and doctors. · I have that response because I find your surgery provides everything I require with such efficiency and courtesy. · I was seen right on time and treated with professionalism and dignity.... I then had to enquire about eligibility for a vaccination which was dealt with at reception very efficiently and appointments made with no fuss. · I would recommend the surgery because every doctor in it appears to really care about giving the best care possible to its patients. You can always get an appointment when you need it. Doctors are always keen to explore every option by including blood tests and follow up appointments. · They have been incredibly kind and supportive during the worser days of my mental health. They are very often quick and easy to see. Every doctor and practice nurse I've seen so far have been lovely people. · Difficult to give you a brief answer, it's been a very unsatisfactory process from start & we still haven't had all our holiday vaccines. 2 wasted appointments each, I feel you are reluctantly offering this service. New Telephone System Coming Soon! Our telephone system is due to be updated soon and we hope that patients will find it much more user-friendly! We will keep you updated about when this is due to go live! Because all the team are just brilliant! Extremely helpful receptionists, thorough nursing, went the extra mile to help. Thank you. Just made an enquiry and was immediately given ECG test, then saw the doctor, then sent for a chest x-ray – all on the same day. Appointments for monitor and blood tests the following week. Brilliant service! First Class. All the doctors have time for you and listen to your needs. The nurses, office staff and especially the dispensary ladies are lovely. Nothing is too much trouble for anybody at Marazion surgery. Top marks to all. All the staff I have had dealings with were very helpful, efficient and professional in their approach. I would highly recommend. Always a pleasant experience. Friendly staff. Great that you can phone in the morning, first thing, and get to see a doctor same day. I have recently suffered severe health problems and have found Dr Walden to be a superb GP. Understanding, approachable and very capable. The whole staff are a credit to the practice and I would not register elsewhere unless forced to do so. Shingles vac. is good and seen on time. Since we moved to Goldsithney in February 2010 we think we have experienced excellent care from Marazion surgery and after I was diagnosed with lymphoma in February 2016 all the staff I've been in contact with have been caring and kind. We are delighted to let you know that with your support we have raised £929.70 for Meningitis Now, with our Spring Raffle that was drawn on 13th April 2018. Thank you to everyone who purchased a raffle ticket and congratulations to everyone who won a prize! NEW CAR PARK OPEN NOW! The new car park more than doubles the amount of parking available for patients immediately outside the surgery. There are disabled parking spaces next to the front door. There is also a new separate area for staff parking. Mrs Brown, the Practice Manager, stated that patients often comment that being able to park easily and for free, immediately beside the surgery makes it much easier for them to access the medical services offered at the Practice. If you have any plants or shrubs that you would be willing to donate, to help make our grounds more attractive we would love to hear from you! You can either drop these in, or if you contact us we can arrange to collect these from you. Thank you for your support! Internally there has also been work to improve the facilities being offered to patients. Internal walls have been changed so that the space can be used more effectively. 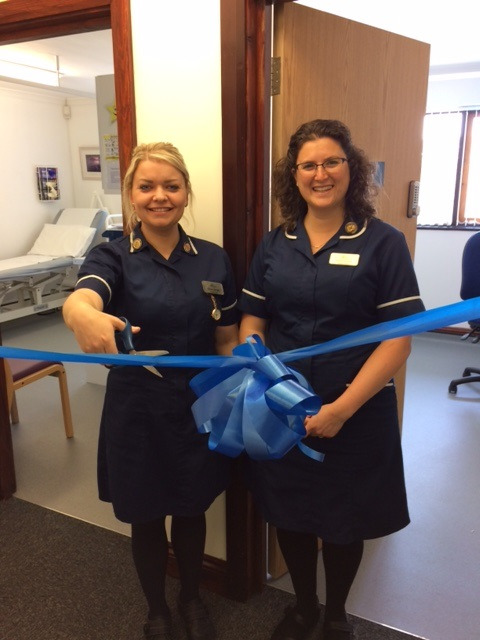 There is now a new Consulting Room alongside the Nurses’ Treatment Rooms. Dr Walden commented that this new facility would allow the surgery to offer more clinics and services to patients on a daily basis; this was an exciting opportunity and valuable resource when looking to the future of the NHS. Mrs Chloe Gendall, Practice Nurse at Marazion Surgery has been given the prestigious title of Queen’s Nurse (QN) by community nursing charity The Queen’s Nursing Institute (QNI). Chloe has been a Practice Nurse at Marazion Surgery since 2010 and is highly regarded by her colleagues and by the patients at the Practice. 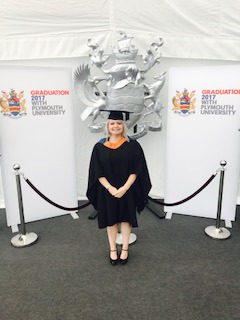 Dr Walden, GP Partner at Marazion Surgery said, ‘Everyone at the Practice is extremely proud of Chloe for gaining this award; she is a caring, dedicated and highly professional member of our nursing team’. We have the facility to send you a text reminder for any booked appointment at the surgery. Please let us know your mobile number as this will save the NHS valuable lost time in missed appointments. This will also allow us to book FLU CLINICS further in advance. We want to get better at communicating with our patients. We want to make sure you can read and understand the information we send you. If you find it hard to read our letters or if you need someone to support you at appointments, please let us know. We want to know if you need information in large print or easy read; use a British Sign Language interpreter or advocate; if we can support you to lip-read or use a hearing aid or communication tool. Please tell the receptionist when you arrive for your next appointment, or call us on 01736 710505. Book, view, amend and cancel appointments online. View and order online repeat prescriptions for drugs, medicines or appliances. This is possible by registering for ‘The Waiting Room’ on-line access. Currently 1,200 patients are signed up for this valuable and effective service! If you would like to register for ‘The Waiting Room’, please ask for more information at Reception or Dispensary. Patients who are already registered for ‘The Waiting Room’ will shortly transfer to the updated version 2. (You do not need to do anything!) As part of ‘The Waiting Room Version 2’ patients may also request permission to view limited extracts of their medical records. There are obviously stringent controls on the release of this information and applications should be made in writing to the Practice Manager, Mrs J Brown. All patients registered at Marazion Surgery have a named GP. A recent Government initiative has recommended that we ensure that patients know who their named doctor is. You will be told this when you register, or if you are not sure please ask a member of staff. You may request an appointment with the doctor of your choice, if that doctor is not available you will be offered an appointment with another doctor or you may choose to ring another day.